COLUMBIA, Mo. — Today, MU officials announced that university employees wanting to earn their high school diplomas may register for free with MU High School, the University’s online high school that offers more than 180 courses for high school credit. Tuition will be paid for through an extension of the existing tuition assistance benefit program and with funds from the College of Education and their Mizzou K-12 Online program. Additionally, a local company, MBS Direct, will assist students with the cost of their textbooks. This new tuition assistance program is a two-year pilot project. At the close of the project, completion rates will be analyzed to determine if this benefit should be extended to employees at the other three campuses of the University of Missouri System. 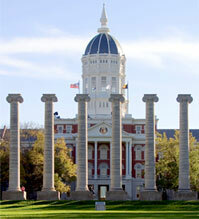 The pilot program is open to employees at MU, the UM System, MU Health Care and MU Extension. Kiki Gross, a lead custodian for MU Residential Life, will be one of the first individuals to enroll. Gross, who dropped out of high school when she was 15-years-old, has worked as a certified nurse’s assistant and a hospice worker and wants to continue her education in an effort to find other ways to help those in need. According to Karen Touzeau, associate vice chancellor for Human Resource Services, the estimated investment in this staff development opportunity is minimal compared to the potential benefit from personal enrichment, employee engagement, and retention. Touzeau says the pilot project will allow a strong, existing program of the UM System to be leveraged for the benefit of its employees and has the added benefit of continuing a relationship with a local company with strong ties to education, Touzeau said.